Each year, Kerem has the unique opportunity to participate in the York Hospital Walk for Hope in support of breast cancer research. 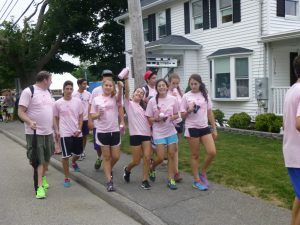 Not only does the ayda get to walk together along the coast of Maine, but they get to fundraise and make an incredible impact on the York community, current breast cancer patients, and the future of cancer resear ch. I am grateful that this year will be my third time participating in the walk – first as a chanicha, then as a madricha, and now as rosh Kerem. While the people I walk with have changed, the ruach and commitment certainly has not. 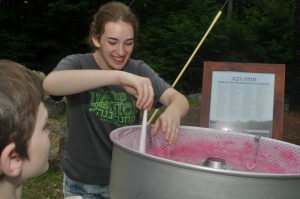 This year at opening day, the entire Yavneh community will have the opportunity to take part in this special event by purchasing a special edition pink Yavneh kippah, as well as cotton candy, and all the proceeds will go toward the Walk for Hope. My excitement continues to grow for this experience with K erem ’15. Not only will Kerem ’15 do a phenomenal job representing Yavneh at the Walk for Hope, but we will definitely contribute to this summer being the best one yet!